Healesville's population of over 6,500 thrives on horticulture, tourism, and viticulture (the study of grapes). Kick off your visit on the 12th (Sun): look for gifts at Yarra Valley Chocolaterie & Ice Creamery, then learn about winemaking at Maddens Rise, then sample the fine beverages at Four Pillars Distillery, and finally appreciate the views at Healesville Sanctuary. To see ratings, traveler tips, where to stay, and tourist information, use the Healesville driving holiday planner. Kuala Lumpur, Malaysia to Healesville is an approximately 14-hour flight. Traveling from Kuala Lumpur to Healesville, you'll lose 2 hours due to the time zone difference. Prepare for much colder weather when traveling from Kuala Lumpur in May: high temperatures in Healesville hover around 20°C and lows are around 6°C. Wrap up your sightseeing on the 12th (Sun) early enough to drive to Newhaven. Newhaven is a town in southern Victoria, in the south Gippsland region. 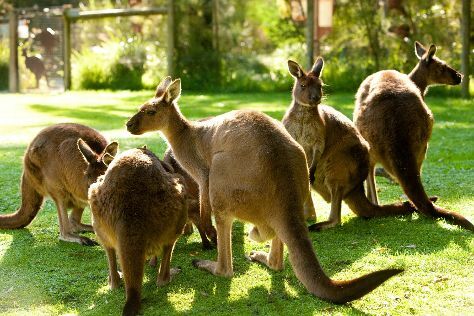 On the 13th (Mon), step off the mainland to explore Churchill Island, then brush up on your military savvy at National Vietnam Veterans Museum, then look for all kinds of wild species at Koala Conservation Centre, and finally find something for the whole family at A Maze'N Things. For photos, more things to do, traveler tips, and more tourist information, you can read our Newhaven online tour planner . You can drive from Healesville to Newhaven in 2 hours. Traveling from Healesville in May, expect somewhat warmer with lows of 10°C in Newhaven. Finish your sightseeing early on the 13th (Mon) so you can drive to Summerlands. Penguin Parade has been added to your itinerary. 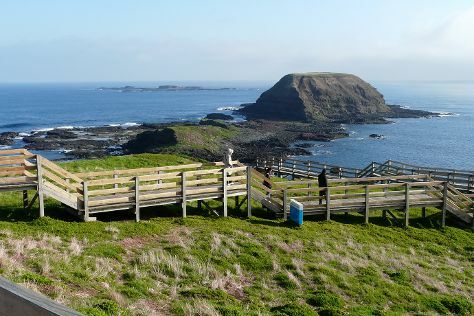 Get ready for a full day of sightseeing on the next day: learn about wildlife with up-close encounters at The Nobbies Centre, head outdoors with The Nobbies, and then look for all kinds of wild species at Penguin Parade. For other places to visit, traveler tips, maps, and other tourist information, read our Summerlands trip itinerary maker app . Summerlands is just a short distance from Newhaven. In May, plan for daily highs up to 20°C, and evening lows to 10°C. Finish your sightseeing early on the 15th (Wed) so you can travel to Hastings. Hastings is a suburb of Melbourne on the Mornington Peninsula, Victoria, Australia, as a part of the urban enclave on Western Port comprising Hastings, Bittern, Crib Point, Tyabb, and Somerville. To find maps, more things to do, reviews, and other tourist information, refer to the Hastings route planning app . Drive from Summerlands to Hastings in 1.5 hours. Expect a daytime high around 20°C in May, and nighttime lows around 10°C. On the 15th (Wed), you'll travel to Port Campbell. Port Campbell is a coastal town in Victoria, Australia. 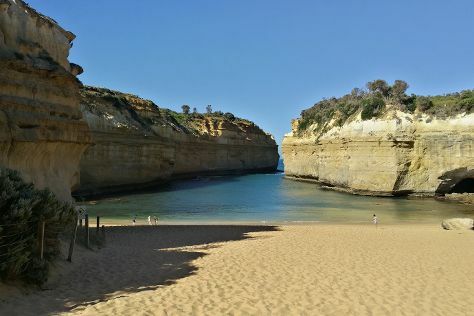 Kick off your visit on the 16th (Thu): explore the striking landscape at London Bridge and then take some stellar pictures from Loch Ard Gorge. For reviews, ratings, other places to visit, and other tourist information, refer to the Port Campbell trip planner . You can drive from Hastings to Port Campbell in 4 hours. Wrap up your sightseeing by early afternoon on the 16th (Thu) to allow enough time to take a bus to Warrnambool. Warrnambool is a regional centre and former port city on the south-western coast of Victoria, Australia. For reviews, where to stay, other places to visit, and other tourist information, read our Warrnambool trip itinerary builder app . Traveling by bus from Port Campbell to Warrnambool takes an hour. Alternatively, you can drive. Finish up your sightseeing early on the 16th (Thu) so you can go by car to Werribee. Werribee is a suburb of Melbourne, Victoria, Australia, 32 km south-west of Melbourne's Central Business District, located within the City of Wyndham local government area. 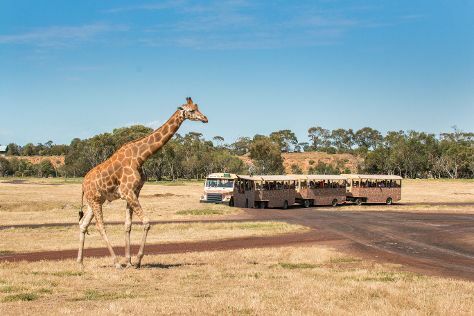 Kick off your visit on the 17th (Fri): examine the collection at Scienceworks and then learn about wildlife with up-close encounters at Werribee Open Range Zoo. For ratings, traveler tips, photos, and more tourist information, read our Werribee online holiday builder . You can drive from Warrnambool to Werribee in 3 hours. Alternatively, you can take a train; or fly. May in Werribee sees daily highs of 20°C and lows of 9°C at night. Finish your sightseeing early on the 17th (Fri) to allow enough time to drive to Melbourne. 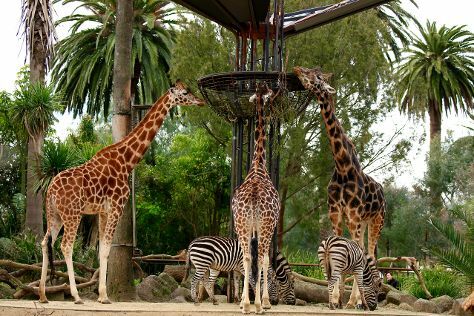 Here are some ideas for day two: tour the pleasant surroundings at Melbourne Zoo, then look for all kinds of wild species at Royal Botanic Gardens, and then enjoy breathtaking views from Eureka Skydeck 88. For photos, more things to do, and more tourist information, go to the Melbourne route maker site . Melbourne is very close to Werribee. May in Melbourne sees daily highs of 20°C and lows of 9°C at night. Wrap up your sightseeing by early afternoon on the 19th (Sun) to allow time for travel back home.